When people consider using social media for their business, they’re most likely thinking of Facebook pages, Instagram business accounts or LinkedIn business profiles. However, this neglects the importance of using your personal accounts to promote your business—something that is especially helpful for entrepreneurs, small business owners and inventors. 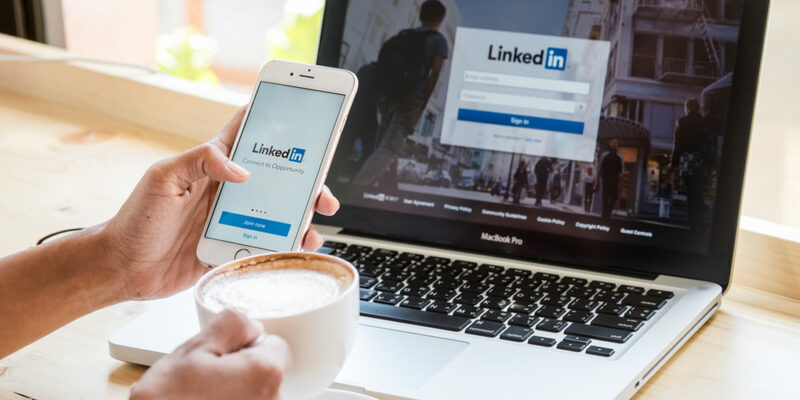 In fact, LinkedIn in particular provides a grand opportunity for inventors who are well connected in their industry to promote their inventions and grow their business. Here are five steps in that process. 1. Update and optimize your LinkedIn profile. Before you begin, it’s important that your profile is up-to-date and optimized to provide the most information in an easily digestible way to those viewing it. Start at the top with an updated headshot; you may also want to include a branded image related to your business in your profile header. Then, go through your profile section-by-section and make sure that everything is updated. Check for typos in existing content and look for ways to add more about your invention or any new, relevant content. 2. Share updates regularly on LinkedIn. Once your profile is updated, start to post regular updates using your account in order to connect with those who could be interested in what you (or your invention) have to offer. For example, post status updates that link to high-quality content, begin a conversation or include relevant images, but always stay on-topic and relevant to your brand and industry. Keep in mind that LinkedIn is also great for sharing industry news and articles from thought leaders—especially yourself! If you have trouble posting consistently or creating content to post, consider establishing a topical calendar for each day of the week that makes it easy to consistently provide valuable and engaging content. For example, on Mondays you can share something about your invention, on Tuesdays you can share an article relevant to your industry, on Wednesdays you can share something that inspires you, etc. 3. Publish articles on LinkedIn. LinkedIn makes it easy to publish long-form articles on the platform, which is a great way to establish yourself as a thought leader! These types of posts can show off your expertise and supplement your professional LinkedIn profile, showcase your expertise to prospects and potentially reach a huge group of professionals who aren’t in your network (yet). If you’re already writing content for your own blog or a different publication, you can also reuse this content here. However, it’s smart to wait at least two weeks after a blog post is published before republishing it to LinkedIn. This gives it enough time for search engines to index and see which post is original, and then rank it above the LinkedIn content. You may also want to republish it under a new headline to differentiate it from the original content. Then, when you post it, let readers know where the post came from by including a sentence in the beginning directing readers to the original source. Be sure to make it a hyperlink. This is especially important if the content is from your own site, because it will help you send traffic there! Other long-form content can be republished on LinkedIn, too, such as ebooks or presentations. LinkedIn’s document-sharing feature makes this easy. 4. Once you have a robust, active LinkedIn profile, you can start to focus on building your network. Don’t send out requests to connect willy-nilly; you want to be strategic rather than connecting with every stranger you can find. Your best bet is to connect with those you work with often, former co-workers and colleagues—and, moving forward, those you meet at trade shows, conferences and networking events. It’s always a good idea to send a personal message when you request to connect with someone. Remind that person how you met and express your happiness to connect. 5. Use LinkedIn groups. If you want to go the extra mile with your LinkedIn usage, consider spending a few minutes each week interacting in LinkedIn groups. Groups on LinkedIn provide the opportunity to join conversations, answer challenging questions and provide detailed insight that other users may not be able to offer. While you’re interacting, look for B2B partners, customers and industry experts to connect with in these groups. However, before you begin to participate in groups, it’s important to get to know each group’s culture. Spend time monitoring the groups you are interested in to see how members post and interact with one another, then try to mirror their activity. Stay active and post regularly by answering questions, participating in discussions, posting links to articles, and sparking conversations by asking questions. Use these groups as opportunities to make more connections. Just be careful not to over-promote your invention or business in LinkedIn groups, as this is frowned upon. Instead, focus on building relationships. If you want to take it a step further and you have the time to dedicate to it, consider creating your own group that pertains to your industry. Benefits of creating your own LinkedIn group include establishing yourself as a thought leader, building a community, growing your personal network, promoting your invention or business, and more. Before creating a group, get active in other groups to learn more about what works and what doesn’t. Once you feel comfortable participating in groups, you can create your own. When creating the group, make sure you are transparent and that you make the group’s topic easily apparent. Include a brief description of what the group is about and for whom it’s intended. Your description should tell people why they should join your group and what they will get out of it. In other words, highlight your value proposition. Include keywords as well, as these keep your description optimized and make it easier for people to find. Additionally, you’ll want to create a few rules. For example, you will likely want to ban promotional posts or advertising, which prevents spammy activity from members. Feel free to delete posts, but it’s a good idea to message the author letting him or her know why you did it. Once the group is set up, log in every few days to moderate comments, answer questions, start new discussions, and provide value and insight to the group. Providing value and insight is key; if you’re too promotional, people will start to leave your group. To grow the group’s membership, start by inviting your own connections. Be selective, and avoid inviting people who aren’t likely to be interested. You can also consider reaching out to other websites and publications and asking them to mention the group to their users or readers, and offer an incentive in return. Some final advice: LinkedIn is designed for professional connections, so you’ll want to keep your posts a bit more formal—even on your personal profile. Keep updates brief, and post no more than once or twice a day. Above all, make sure your posts and updates provide value to the reader. This will set you up for success as you use your personal LinkedIn account to drive your invention to success. 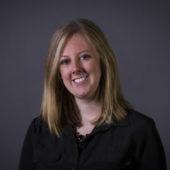 Elizabeth is the Content Marketing Manager at Enventys Partners where she oversees content strategy and implementation across the entire organization.